The Ryze Tello is the best drone you can buy for under $100. We have flown a lot of different drones and this one stands out. Keep reading to learn more about the awesome Tello. See how the Tello stacks up against some of our other favorite sub-$100 drones here. The Tello is now available on DJI.com and Amazon. Pick one up today! For another solid review of the Tello check out this post on www.dronedj.com. DJI has decided to enter the lower-cost brushless quadcopter market with Tello. DJI and Ryze teamed up to create this small marvel. Tello is a small brushed quadcopter with some exciting features. Like other DJI drones, Tello brings quite a bit to the table. This $99 drone looks like the real deal. 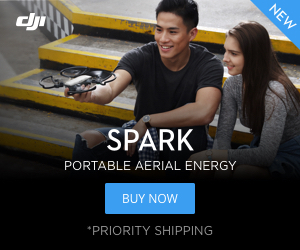 There aren’t any sub-$100 drones like it. Will the Tello end up eliminating the competition? Keep reading to learn more. The Tello is an all-new drone. While it may look like a tiny DJI Spark, this is a very different quadcopter. This is one of the most exciting brushed quadcopters to hit the market in a long time. If you want to see how the DJI Spark compares to the Tello then check this article out. What is a brushed drone? It is a drone with brushed motors. What are brushed motors? They are motors with brushes! OK, enough captain obvious. Without diving into the technical details, brushed motors, like those on the Tello, are less expensive and have lower performance than their brushless counterparts. All previous DJI drones including all Spark, Mavic, and Phantom models have higher-performing brushless motors. The brushed motor and nice prop design on the Tello. 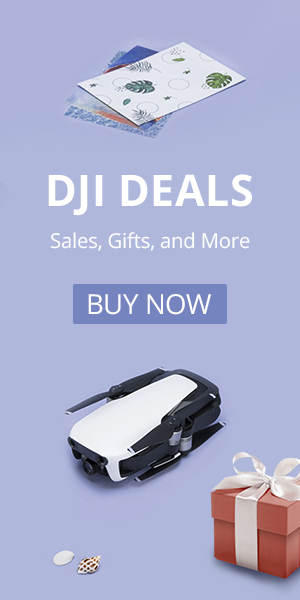 Starting at $99, Tello is the lowest price quadcopter that you can buy from DJI. The up-and-coming robotics company Ryze developed this drone with components and input from Intel and DJI. While it may not have GPS and the advanced flight modes you’ve come to expect from a DJI drone, it does, in fact, have quite a few interesting features. Right away it becomes one of the most advanced brushed quadcopters you can buy with a 14-core Intel processor. This is everything you get with the Tello. You need your own micro USB cable. Tello features a 5 MP camera that is capable of shooting 720p video. It even has electronic image stabilization to help smooth out the video. Tello is capable of a handful of flight modes that DJI calls EZ Shots. The EZ Shots on the Tello are similar to the modes on the Spark and they include Circle, 360 and “Up & Away”. You just can’t find another drone under $100 with a camera this good and such a variety of flight modes. Take a look at the camera on the Tello. It may not have a gimbal, but it does have digital image stabilization. The 5 MP camera is one of the best you’ll find on a brushed motor quadcopter. The Tello has a very impressive flight time of 13 minutes and uses two antennas for the best possible signal. You’ll get a range of up to 100 meters with the Tello. It can be controlled via a smartphone app or a compatible Bluetooth controller. In practical situations we found the range to be about 1/3 of the stated 100 meters. We were able to extend the range beyond 100 meters by using the Xiaome MI WiFi Extender. Learn how we did it in this dedicated post or the video below. You can use the automatic takeoff for Tello or the Throw & Go launch where you toss it in the air and it takes off. It also has Bounce Mode where it will take off and land in the palm of your hand. Tello even has 8 preprogrammed flips that you can do with the press of a button. The Tello high-energy-density battery makes its flight time best-in-class. The Tello looks to be an impressive drone. The Tello is one of the safer brushless quadcopters out there with battery alerts when they are low on charge and failsafe landing if you lose connection. The Tello uses vision positioning camera to help maintain its position while hovering. The official weight is 80g, our scale said 79. Not only is Tello a solid quadcopter for any beginner, it also is programmable with Scratch. Scratch is a popular coding program that adults and kids alike can use to have fun while programming Tello to do tasks. If you are a more advanced user you can develop your own software applications for Tello using Tello SDK. We were also able to program the Tello with DRONEBLOCKS. Check it out below. The Tello with guards installed. The guards are very secure, be careful removing them. We created a 1:1 scale model of the DJI Tello. We reverse engineered the Tello based on pictures and dimensions that we found. Then we printed it on a 3D printer and gave it a nice paint job. We got some motors, props, and a donor drone for the flight controller and we put it all together. The model isn’t perfect, but it is pretty darn good. The scale is correct since we know the prop size of the Tello is 3 inches. Click here to learn more about the 3D model and download it for free.